Pack size and strength: powder (100g). its anti-bacterial and anti-inflammatory properties has been extensively used for the preparation of skincare products. 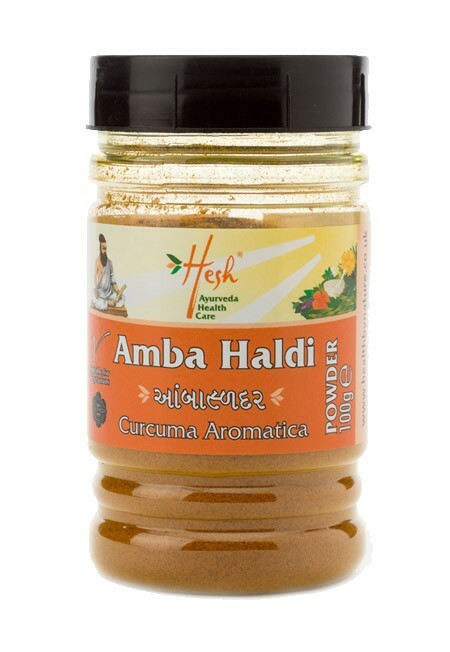 This natural supplement, alongside others in the Hesh healthcare range is derived from Ayurveda, the ancient Indian therapy, as a part of a healthy lifestyle. 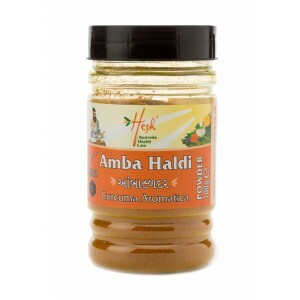 Amba Haldi with its anti-bacterial and anti-inflammatory properties has been extensively used for the preparation of skincare products. This natural supplement along with others in the Hesh healthcare range is derived from Ayurveda, the ancient Indian therapy, as a part of a healthy lifestyle. (12 years and above) Mix 2 teaspoons with rosewater or milk, mix into a smooth paste, apply to face and leave for approx. 2 hours. Rinse off thoroughly with warm water. (12 years and above) Mix 2 teaspoons with milk and boil, let it cool down and drink.